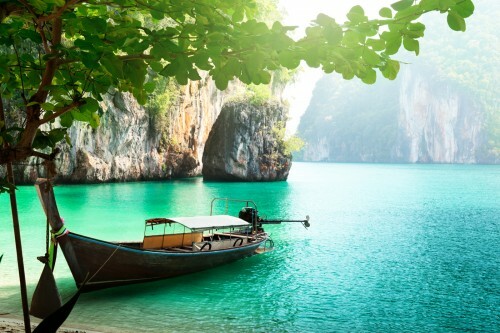 Super cheap vacation in Thailand! 11 days in 3* hotel, flight for €542! Ab in den Urlaub now offers few last places on amazing holiday package. You can now book 10 nights stay in beautiful 3 star Hotel Khao Lak Bayfront with return flights from Dusseldorf, superior room, breakfast and train to Dusseldorf for only €542! This offer is at least €300 cheaper than standard prices for such deal, so hurry up and book fast! Included in the offer is “Zug zum Flug” which means you can take train from any place in Germany to Dusseldorf for free if you book this vacation. The hotel looks absolutely amazing with beautiful swimming pool and spacious rooms and it also has 100% recommendations from previous guests. « Dominican Republic in November: only €348!